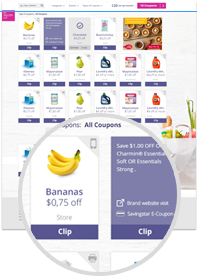 We found all of the Cooking, Baking Supplies coupons available online and put them all on this page so it's super easy to find and print the coupons you want! Save $0.75 when you purchase ANY ONE (1) King Arthur Flour Conventional or Organic. Any variety. NEVER MISS ANOTHER COOKING, BAKING SUPPLIES COUPON! Save $1.00 when you purchase ANY ONE (1) King Arthur Flour Almond or Coconut. Any variety. Save $1.00 when you purchase ANY ONE (1) King Arthur Flour Gluten-Free. Valid on flour and mixes, any variety. Save $2.00 when you purchase ANY ONE (1) Chosen Foods® Avocado Oil or Spray. Any variety. Save $0.50 when you purchase ANY ONE (1) Tajín Clásico Seasoning. Valid on 4.23 oz bottles or larger. Save $1.25 off ONE (1) Don Victor Honey. Valid only on 16 oz Globe Jar.